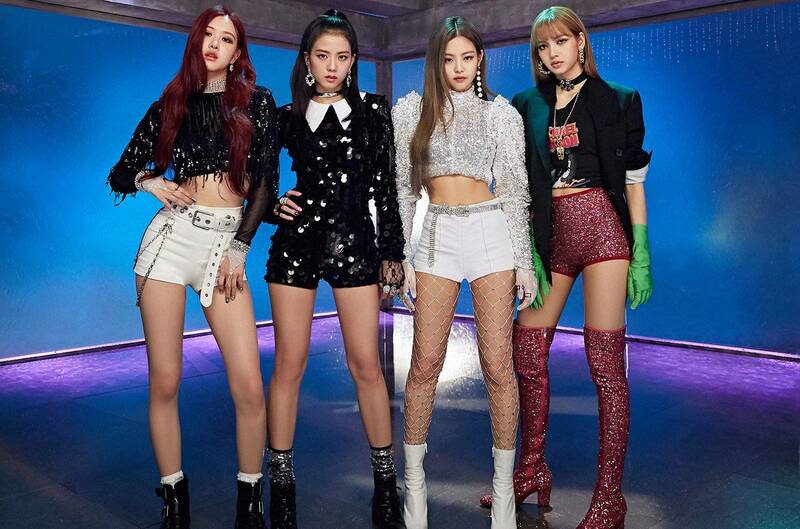 K-fashion is expected to be South Korea’s next big export – the Korean designer fashion and accessories market is worth approximately $5 billion. It’s also growing 7.2% on average each year! The market segment showed no signs of slowing down, as it is making waves internationally too. In October of 2017, Selfridges launched a K-fashion pop up in London, featuring 10 of the most promising designers from Seoul Fashion Week (SFW). In hopes to introduce Korean designers to new audiences, Kuho Jung, executive director of SFW, is hosting events in London, Paris and Milan. The influence of SFW is undoubtedly increasing, as the most recent fashion week attracted buyers from renowned boutiques such as Browns and Net-a-porter. As the popularity of designer fashion in Seoul is fast accelerating, the dynamics of Korean fast fashion is also changing. 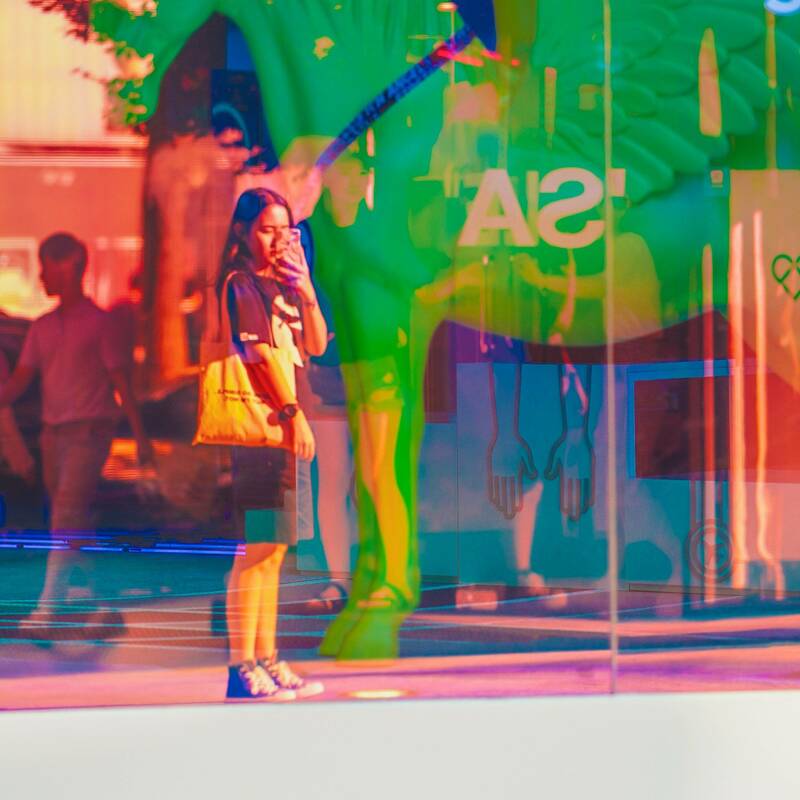 Shifts in demand and a quicker trend cycle have pushed Korean multi-brand retailers such as celeb favourite, Åland to move faster to meet the K-fashion hype. To understand the opportunities of this emerging market, we took a closer look at what consumers are buying at Korean marketplaces, specifically Åland and Somethin’ Sweet. The streetwear trend, combined with the popularity of the oversized silhouettes, has broken boundaries between gendered fashion at Åland. The retailer dedicated a whopping 61% of its total assortment to gender neutral clothing. Among the best-selling gender-neutral items were oversized hoodies and track pants ala the athleisure trend that took over European runways four seasons ago. International trends weren’t the main driver here – hip hop music helped propel this style within Korean youths too, as the music genre gained popularity in recent years. The best performing category for both Åland and Somethin’ Sweet was Tops, selling 3x more than the rest. Contemporary focused Åland was able to sell nearly 80% of its Tops at full price, whereas Somethin’ Sweet’s sellout for their signature ultra-feminine Tops was at around 50%. Mid-range Tops performed the best for both Åland and Somethin’ Sweet, as the median price for Tops was $39 and $31 respectively. Both retailers also had conservative price ranges, with less than 2% of the Tops category priced over $55. 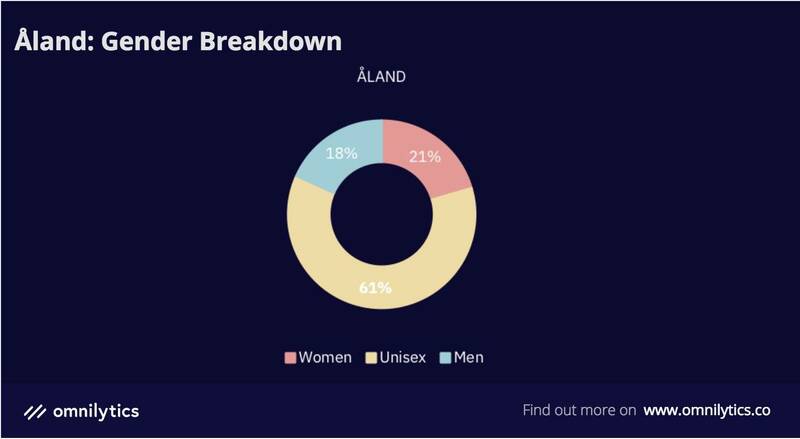 In the non-apparel sector, Bags took the win at Åland with a 60% sellout, followed by Shoes and Jewellery. The retailer kept the streetwear trend alive by stocking a large number of unisex backpacks. 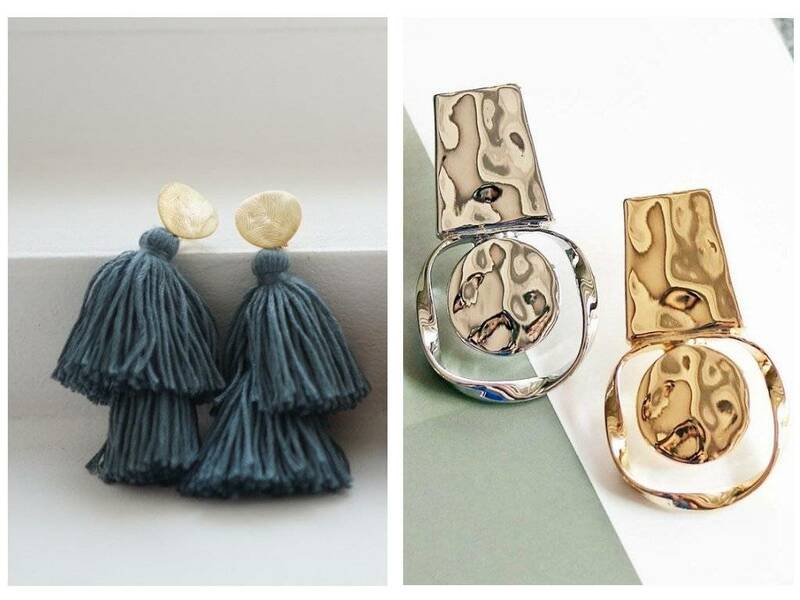 With that said, Åland’s assortment was also heavy with jewellery, especially earrings. Statement earrings such as mismatched pairs and long tasselled pairs were among the best-sellers. On the other hand, Somethin’ Sweet found an opportunity in Shoes with just over half of their total stock sold at full price. More than 20% of the shoe assortment was contributed to boots, a popular trend for stage outfits among girl groups in South Korea. From stiletto thigh highs to patent leather Chelsea boots – there were 304 SKUs dedicated to just boots. #4 One Size Fits All? South Korea has a sizing system unique to them. Over there, they run on double digits; a 44 is an XS, 55 is an S and 66 is an M. However, our data showed these retailers preferred to run on free-size – which is typically a 55 or an international S. Although the sizing system would be suitable for most Asian markets, their universal free size might be slightly harder to translate overseas, especially in the West where sizing is expected to be more diverse. 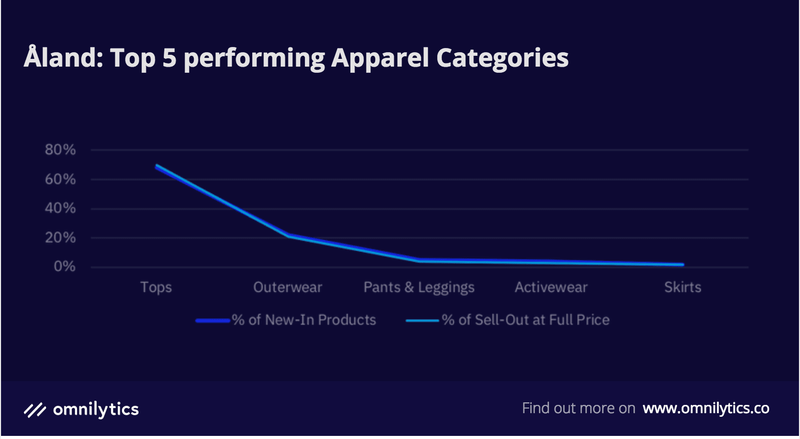 Chart of top performing apparel categories at Somethin’ Sweet. As the trend cycle in K-fashion moves at warp speed, it’s important to offer newness at crucial times. Data from Somethin’ Sweet showed they’ve understocked in the Tops category with their sellout being +5% ahead of new-ins. 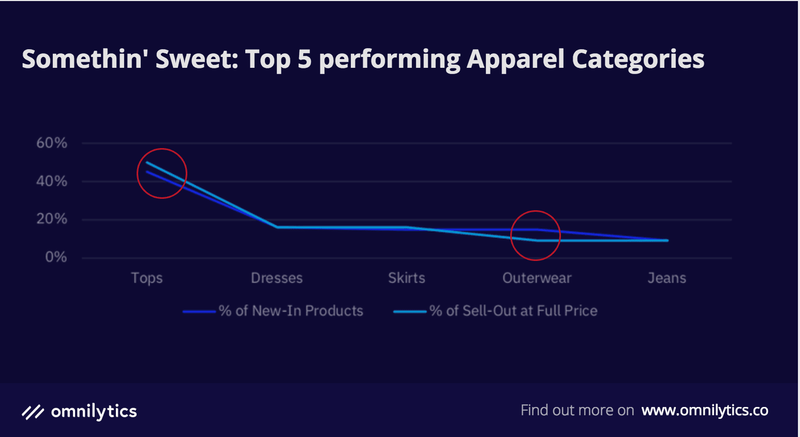 Meanwhile, the Outerwear category showed signs of overstocking with the sellout percentage being -6% lower than new-ins. Finding a balance between sellout and new-ins is key. 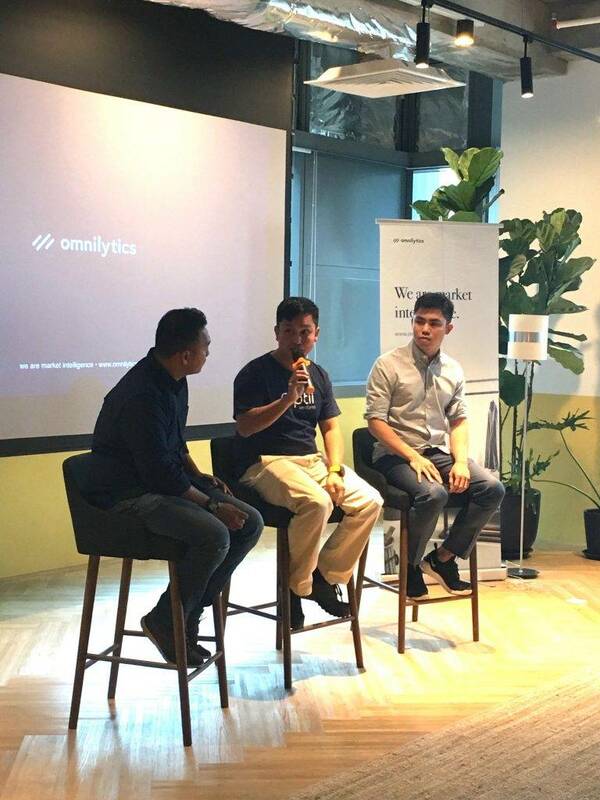 Brand owners should routinely measure and monitor key performances, as it can help identify missed opportunities or chances of overstocking. Gender neutral clothing dominated contemporary K-fashion. Mid-range tops was a popular Tops sub-category. Bold accessories, such as statement earrings and loud boots, were part of the big styling trends. Korean free sizing may work in Asia, but it may not appeal to other parts of the world. Find out more on these two K-fashion marketplaces in our review of the Top Korean Fashion Marketplaces. Here, you can learn further on the Korean sizing system, category break downs, sellout performances and more!